Big Rig Collision uses only superior products on your vehicle such as Everglass, Dupont™ and Imron®. We also accommodate customer requests for specialized products. 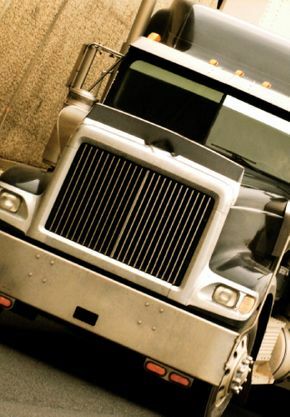 At Big Rig Collision, we service all out-of-province claims through government or private insurance policies. Call us for an estimate on our body shop services today. In fact, Big Rig Collision mechanics are fully MPI-accredited to handle all jobs, no matter the size or complexity. Our technicians are also I-CAR-qualified, providing expert workmanship in order to get your repairs done correctly the first time. Moreover, our facilities are top-grade – our equipment conforms to the highest standards in the industry.